WOW! 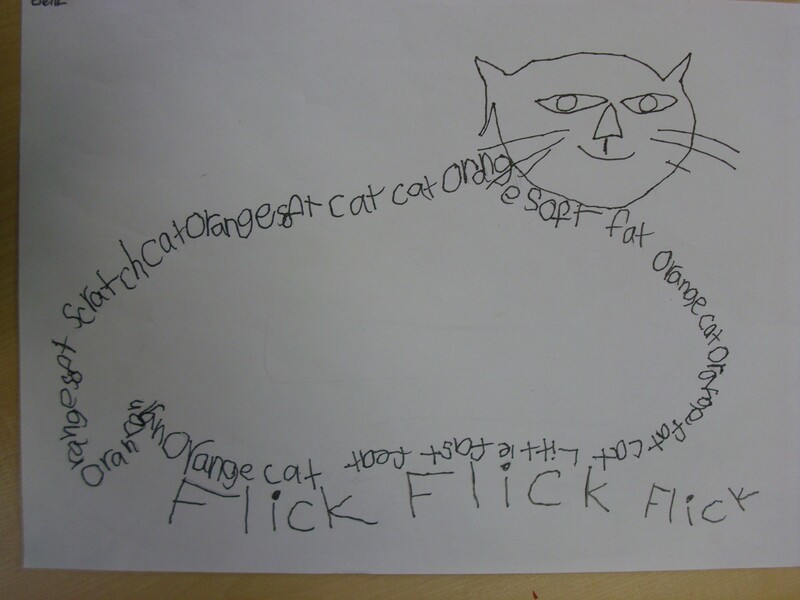 Ormond School’s Y2 and 3 have finished some fabulous picture poems – slow sneak pounce! 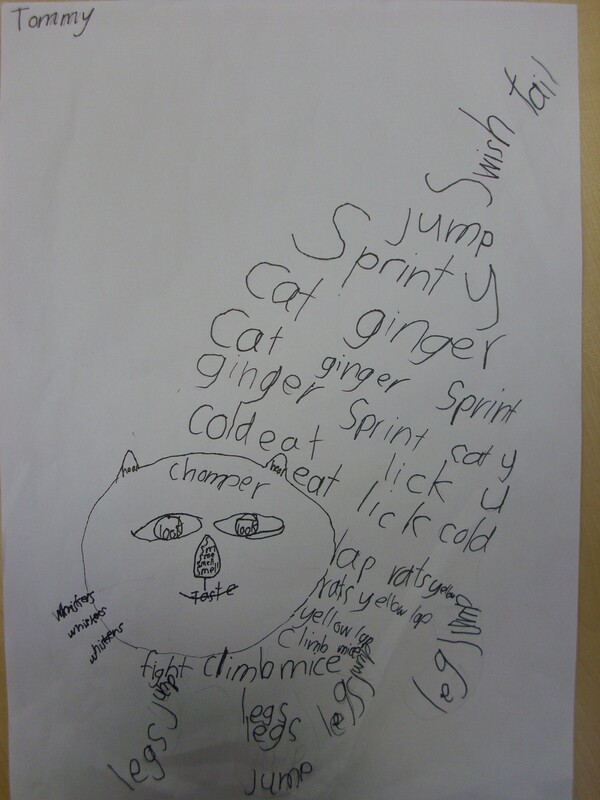 When I visited Gisborne’s Ormond School last week (the North Island winner of The Fourth Fabulous Picture Poem) I kick-started classes on picture poems. I adore these cat ones from Y2 and 3. I have picked just a few to post, but they are all WONDERFUL. I kept going WOW! as I looked at them. These poems are good to look at but are also fun to read aloud. Congratulations to the WHOLE class on your poems. I just loved them. I love the one with the rat hiding in its belly! 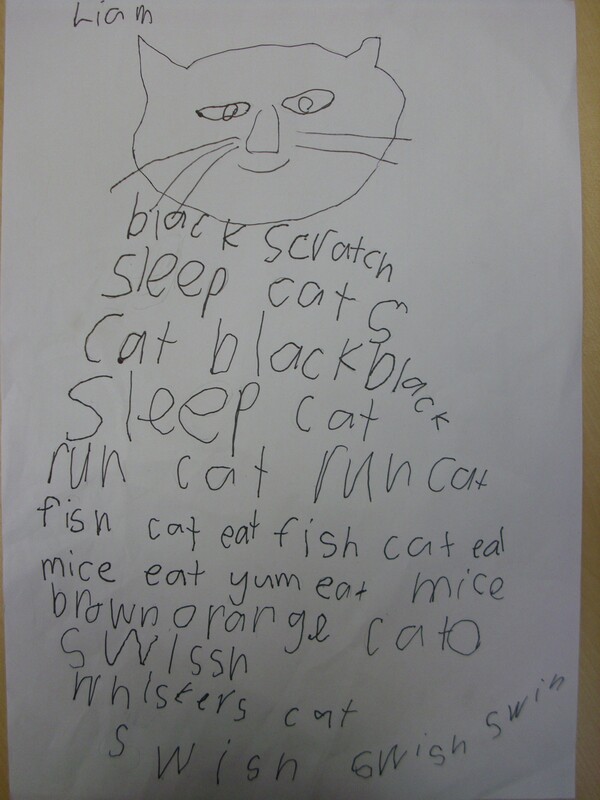 This entry was posted in NZ Children's poetry, Poetry and tagged cat poems, Ormond School, picture poems on November 3, 2015 by Paula Green. 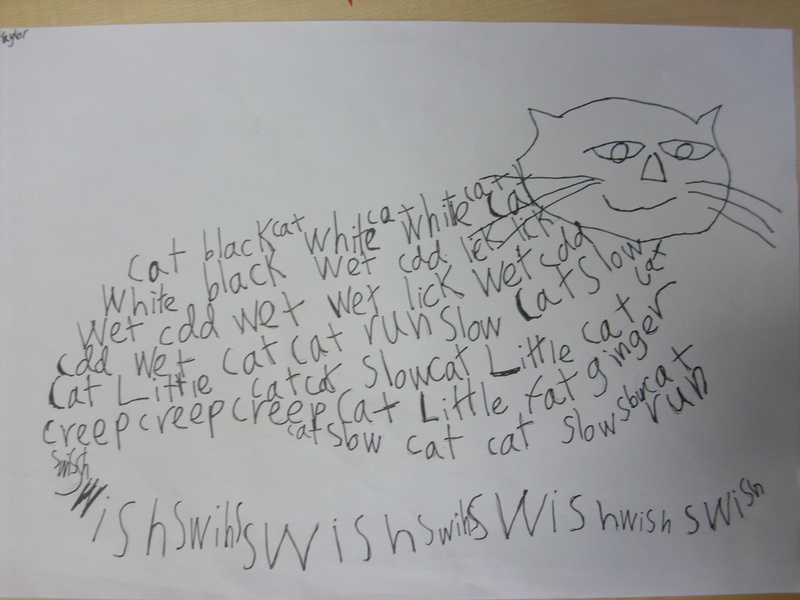 Before we started writing sky poems Y2 and 3 played with how many words you can use on a line in a poem. I love the made-up words and the surprise at the end of the second poem. I also loved the simplicity of these poems and the way they flowed. I really loved making these up with you. Remember all the words came from you! I just ask the questions. 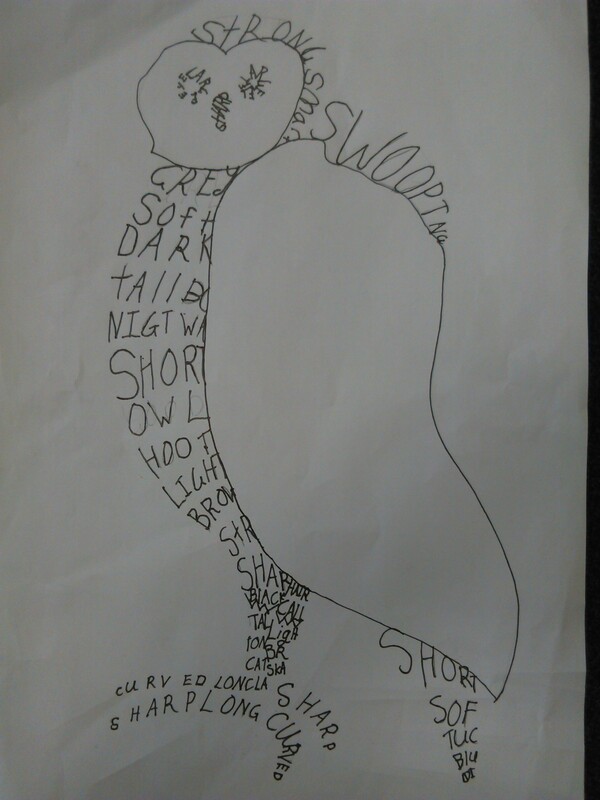 I was inspired to do an owl poem by the gorgeous owl pictures the class had made. Dah di dah di dah di dah di Shark! They also made a moon poem up after I came home. I like the shiny images that grow. It is like a poem in two halves. This entry was posted in NZ Children's poetry and tagged Ormond School, poems by children on November 3, 2015 by Paula Green. Across the road from the school I saw the most wonderful trees. I love imagining things at the moment in my poems but using real detail too. Year 3 to 5 used their imaginations to create trees in their poems. Some of them are short and some much longer. Imaginations were zinging. Thank you so much for sharing your poems with me. I left your class dancing with poetry joy. This entry was posted in NZ Children's poetry, Poetry, Uncategorized and tagged imaginary tree poems, Ormond School, poems by children on November 2, 2015 by Paula Green. 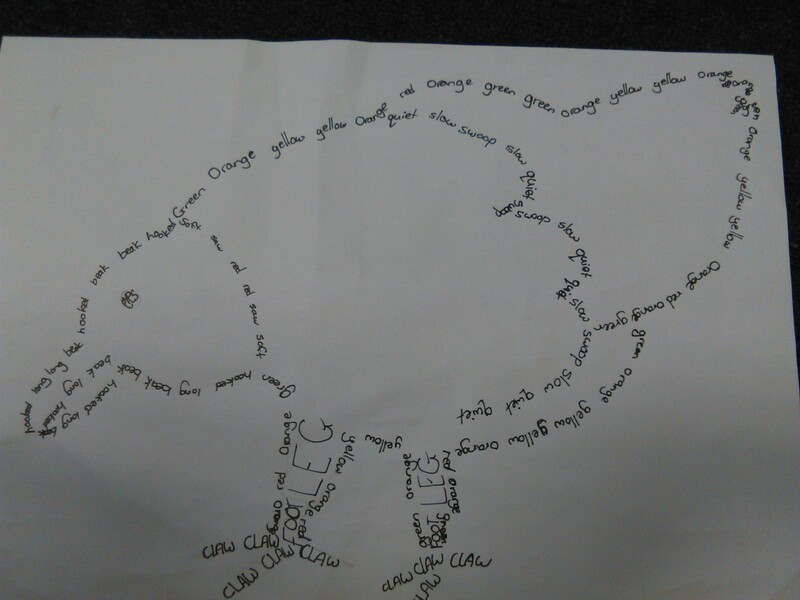 Ormond School’s Y5 and 6 picked places they love to bring alive in a poem. I loved the way the poems did so many different things. Some tell stories. Some build pictures in your mind as you read. Some are long and some are like a little snapshot. Wonderful working with you on these. I have picked just a few to post. 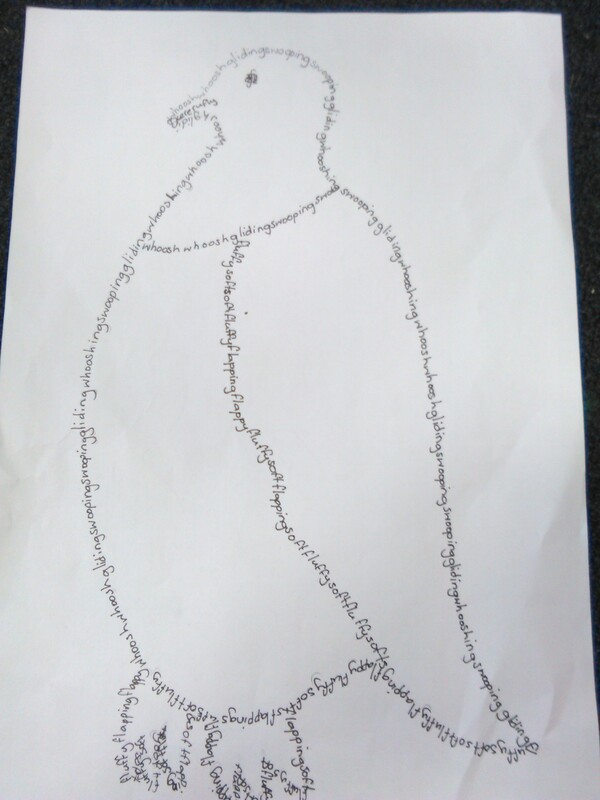 We also had a go at native-bird picture poems. The whole class turned into a music studio as they hunted out sound patterns to make their pictures with. I have got to see some finished ones at the weekended and love the way the both look good and sound good. I have picked a few to post here but congratulations. I loved working with you over the two days and with your teacher. I like the different directions you explored, the way you dove in and played with words. The great poetry hum in the classroom. Thank you for sharing your time and writing with me. It was very special. we’re digging up shingle roads. give me a warning stare. The golden sands of the east. Ow! Oh no a crab! This entry was posted in NZ Children's poetry, Poetry and tagged Ormond School, poems by children on November 2, 2015 by Paula Green. 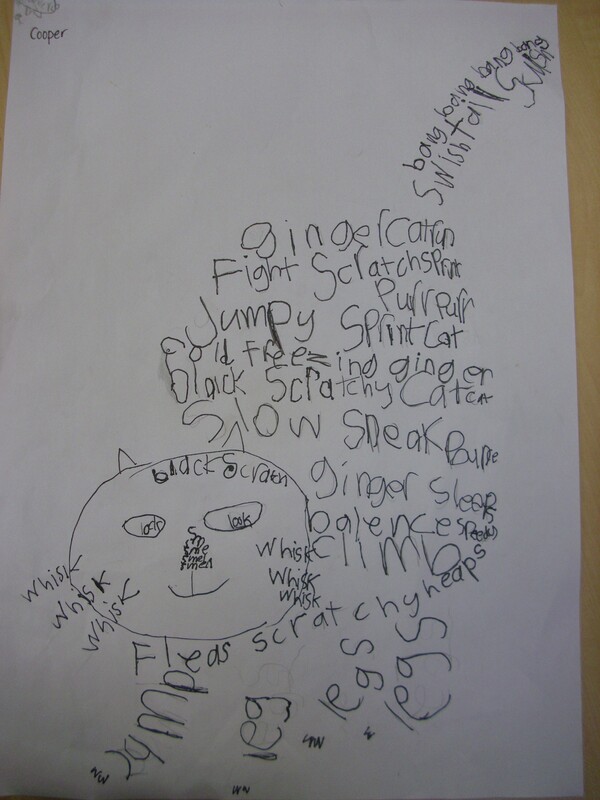 Some Year Ones joined in a workshop with Y2 and 3s and collected sky words. 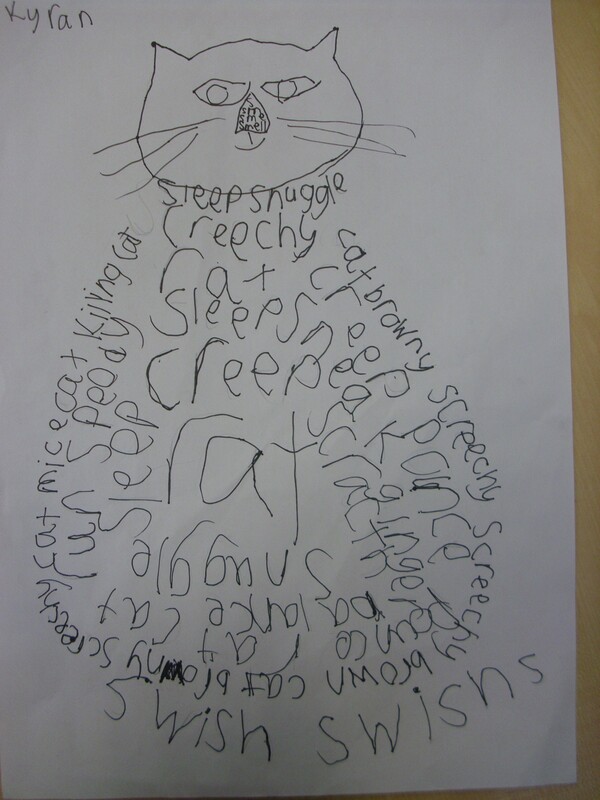 We used some of these words the next day and added more to come up with this class poem. This entry was posted in NZ Children's poetry and tagged Ormond School, poems by children, sky poem on October 29, 2015 by Paula Green. The children hunted for words. They wrote tiny poems. And then they set sail in their longer poems. directions but always came back to sky. I have picked just a handful to post. I loved this session! Thank you. 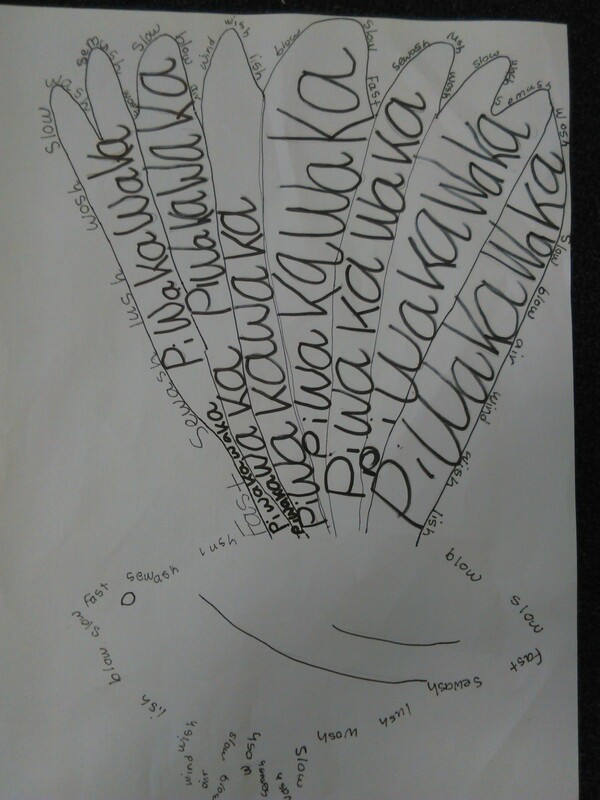 This entry was posted in NZ Children's poetry, Poetry and tagged Ormond School, poems by children, sky poems on October 29, 2015 by Paula Green. I am back home after my visit to the most darling country school near Gisborne. I loved the way the teachers joined in all the workshops and helped the children find their poetry paths. Thank you so very much. You were all amazing. Inspiring people to be around. I visited the Y0/1 class (kowhai) for just thirty minutes (they were in the long session with the whole school in the hall though and lasted so beautifully). We made up two poems together. 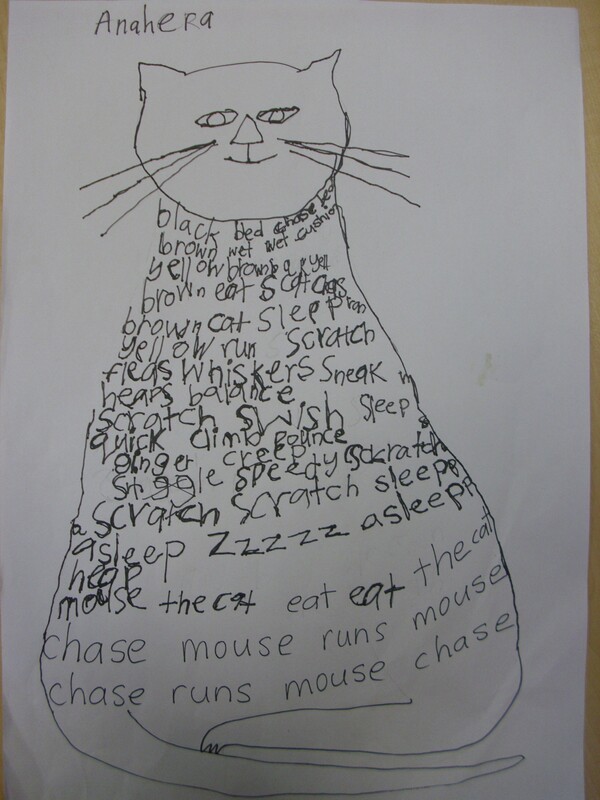 I especially love the cat poem. 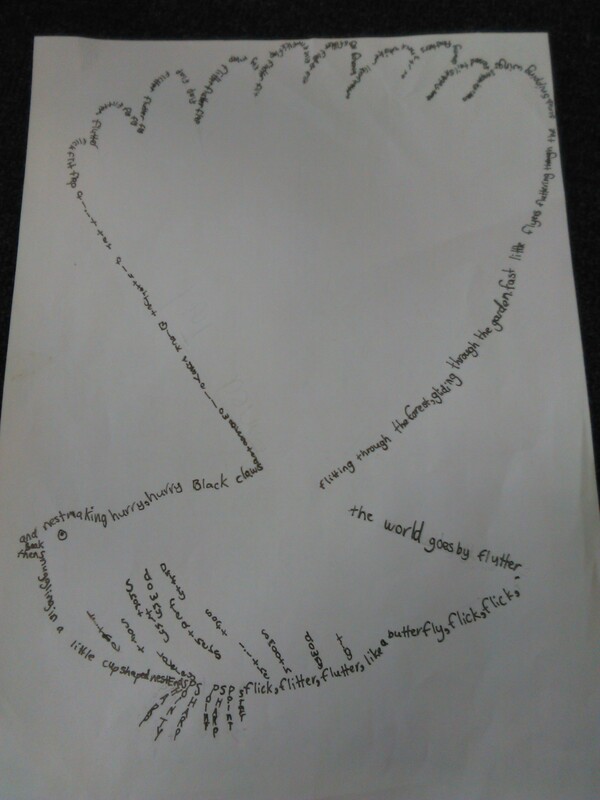 All the words came from the children. I love this poem so much I thought up a really cool challenge for it. See below for details. and on the rainbow couch. I thought it would be very cool to post it again with some illustrations by children. You will need to scan and send your drawing to me (not as a PDF please but a jpeg). I will post my favourites with the poem and have a copy of The Letterbox Cat for one child. See below for deadline and details. Send to paulajoygreen@gmail.com Put cat drawing in subject line. Include your name, age, year and name of school. You can include your teacher’s email. 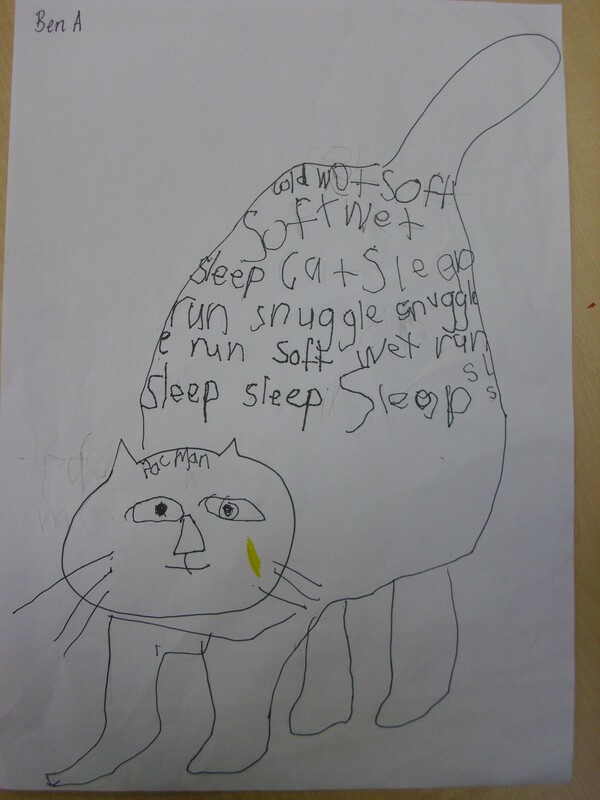 This entry was posted in NZ Author, NZ Children's poetry, The Letterbox cat and tagged cat poem, Ormond School, poems by children on October 29, 2015 by Paula Green.